With the shiny new vocal it always deserved, Planet of Sound’s We Are Together is back and better than ever! Cider Sky contributed brilliantly to the special feeling of the tune, bringing out the joy and easygoing vibes with their inspiring melodies and lyrics. everywhere. 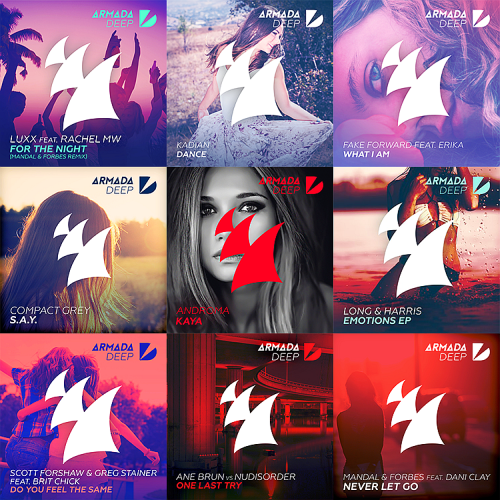 A brand new release on Armada Deep by Fake Forward and Amba Shepherd. This release is all about exploding dance floors with its big bass line and stunning vocal! Takes your night in the clubs to an even higher level! This track has heavy bass lines and tight drums to make sure you keep going all night long! Just when you think you know a classic, leave it to Pretty Pink to rip the original apart and make something so fresh and new that its hard to believe its even a remix. With Paul Oakenfolds classic vocal anthem pitched down, Pretty Pink’s remix is on point on all fronts.